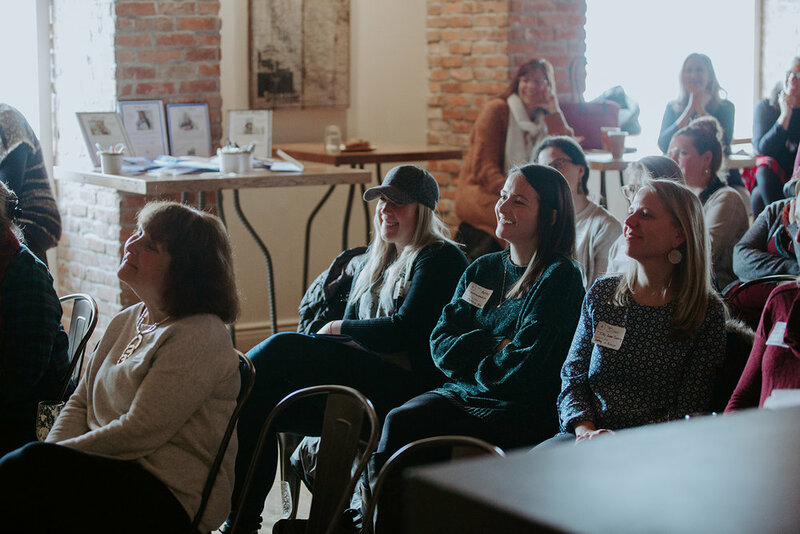 The fact that over 50 people came to this speaker series in a legit blizzard style snowstorm defines what I love about this amazing community of boss babes! The speaker series hopes to inspire and empower each other and each and everyone of these events does just that. Receiving the sweet messages after the event honestly keeps the team going event after event! 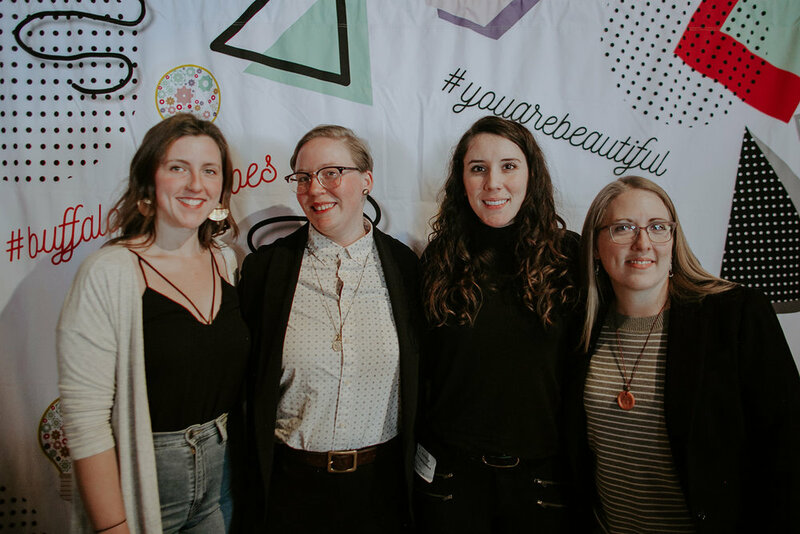 I am so proud to be part of such an amazing community of boss babes ….. When we have our pre-speaker meet- up for the events I can see the fire in the women who will be on the speaker panel the following day. They are always lit up with excitement talking about the things they are most passionate about. The questions being asked always ignite something inside that is honestly so amazing to watch. It brings up so many emotions about their project or business and things they forgot about in their own experience or life until the question brings it to life again. Typically, the panel does not know one another at the beginning of this meeting they always walk away as friends hugging and they cant wait for the panel day. 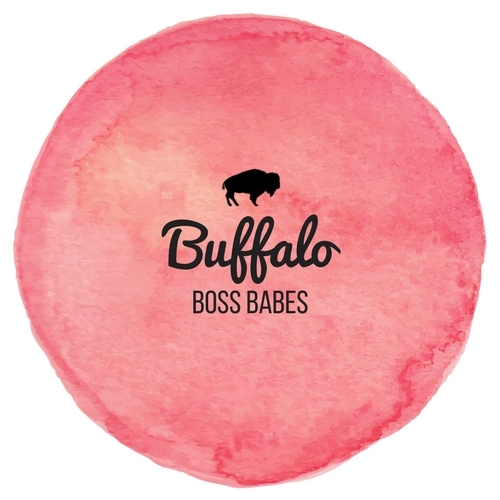 Buffalo Boss Babes Mission is to inspire and empower the creative and inspiring woman who are helping to build the resurgence of Buffalo! We hope that this project provides you with encouragement and inspiration on your boss babe journey. 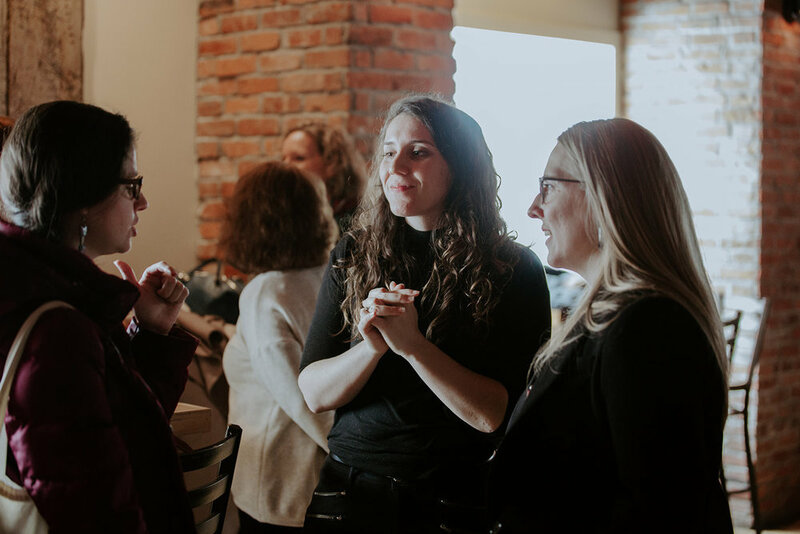 I am so thankful for everyone that came to the event and everyone who is a part of Buffalo Boss Babes. Thank you to ACE Flags and Visual Promotions for sponsoring the event and providing us with our amazing backdrop! A huge thank you to 42 North for hosting the event and for making breakfast. Thank you to EVERYONE WHO ATTENDED THE EVENT, They would not be possible without each and every person there!